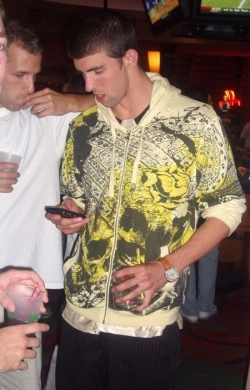 Michael Phelps the BlackBerry user | BlackBerry Blast! It appears the world has learned some new things about Olympian Michael Phelps. Who knew he was a pot head? As you know, after being caught on film hitting a bong pretty hard, Michael Phelps lost his Kellogs contract. I wonder if he was notified via email on his BlackBerry? Michael Phelps appears to be a bong user and a BlackBerry user.